So did I buy a new bike from Omafiets? Umm… well… yes. I did. 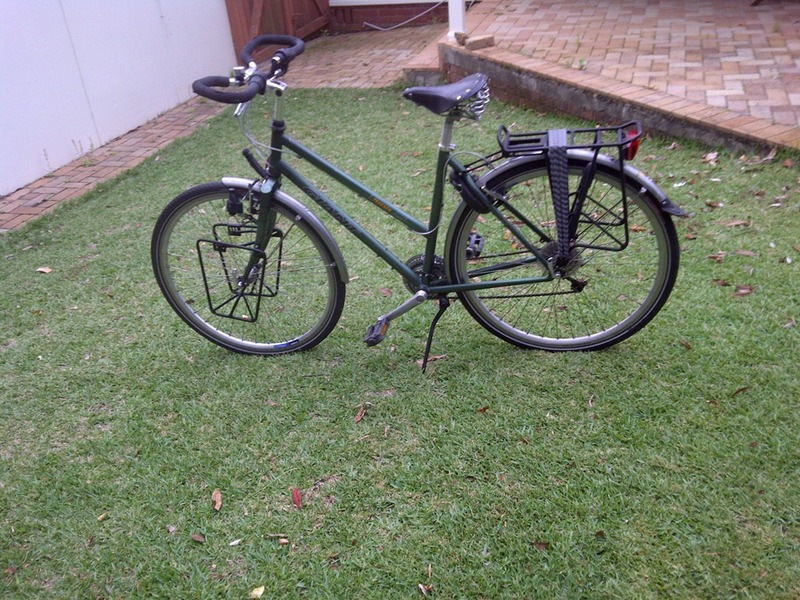 So, let me introduce the new toy to you – my touring bike. She’s a Giant Trekking bike (something that there doesn’t seem to be much info on). Chromeolly frame, mudguards, trekking bars, grip shift, dynamo hub, front and rear racks… you get the drift. 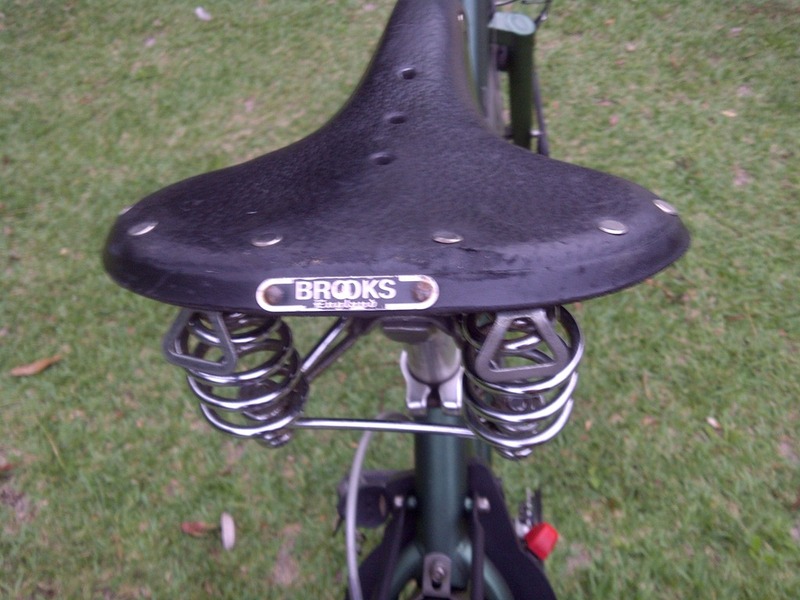 It’s even got a sprung Brooks leather saddle – something I’ve wanted for forever, but decided didn’t belong on my road bike. Here though, it’s perfect! I’ve never ridden a bike with a trekking bar before, so it should be good fun. I’m hoping the combination of the lots of hand positions, along with the steel frame will help to alleviate my numb hands on long rides that I currently experience when I ride my aluminium, flat bar tourer. I’m hoping she’ll be perfect for packing panniers and hauling a trailer/recumbent tagalong (Phil, Jen, I hope you’re reading this) .